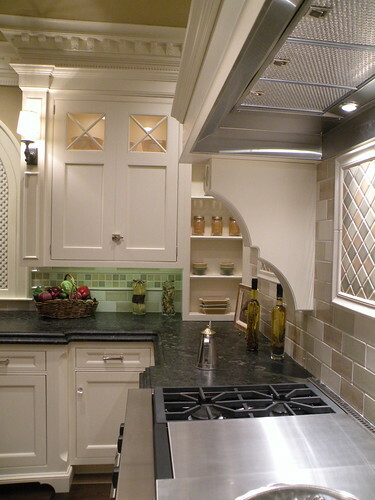 I wrote last week about my visit to Kitchen Concepts and decided to split the post up into two parts. Here are pics I took of the large kitchen set up on display. Since I’ve got kitchens on the brain right now (popcorn is down from my kitchen ceiling!) I was soaking in all the ideas in this room. Enjoy! 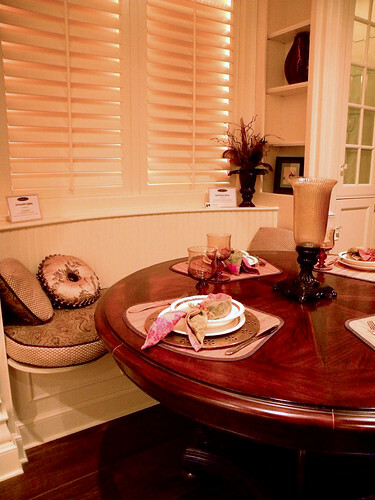 Love the cream painted cabinetry, the dark wood floors and built in banquette at the seating area! 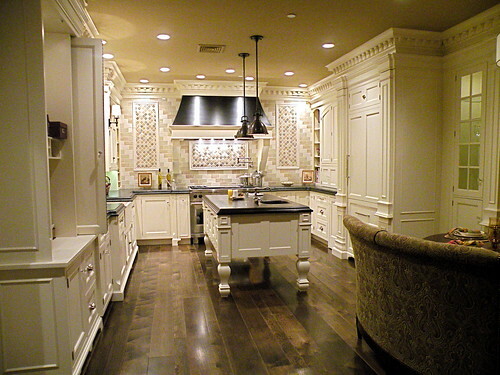 Meanwhile, my kitchen is about the size of the center island. Hah! So pretttty….do you know around roughly how wide that space was? 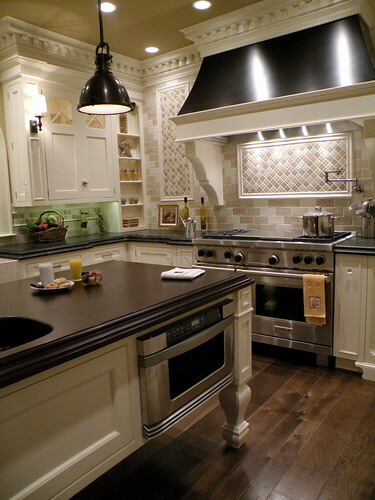 Wow this truly is a beautiful kitchen…it makes me dizzy. 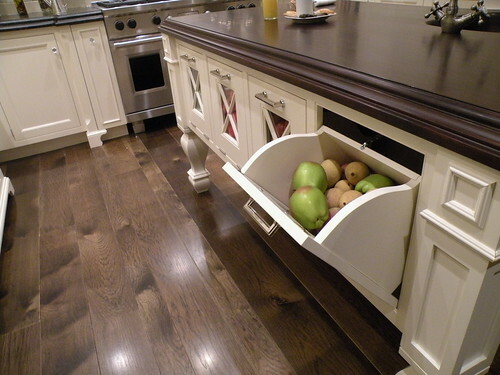 I LOVE the contrast of the dark floors and the light cabinets. It is striking.